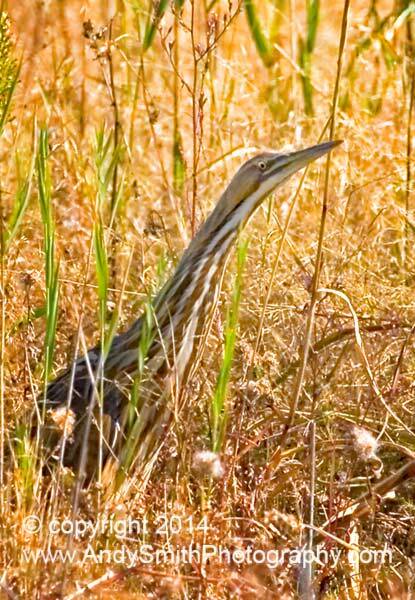 The American Bittern, Botaurus lentiginosus, is uncommon in marshes, where it hides among grasses and reeds blending in with the vegetation. It is always solitary and feeds on fish and other aquatic animals. It often stands with neck and bill pointed up. This one was at the Forsythe National Wildlife Refuge in New Jersey.